Massage Flame candles allow you to offer a unique experience. As they melt, you drip the warm oil from the candles on your client. There are 9 delicious scents that your clients will love. A truly unique hot oil massage! The Massage Flame treatment provides an unforgettable massage experience that’s customized and orchestrated by your clients’ individual needs and moods. Each oil is therapeutically infused with beneficial essential oils and luxurious emollients, leaving skin silky smooth and irresistibly scented. Plus, unlike any other spa treatment, you send your guests home with their very own Massage Flame in a beautiful gift box for their own "at home" massage fun! 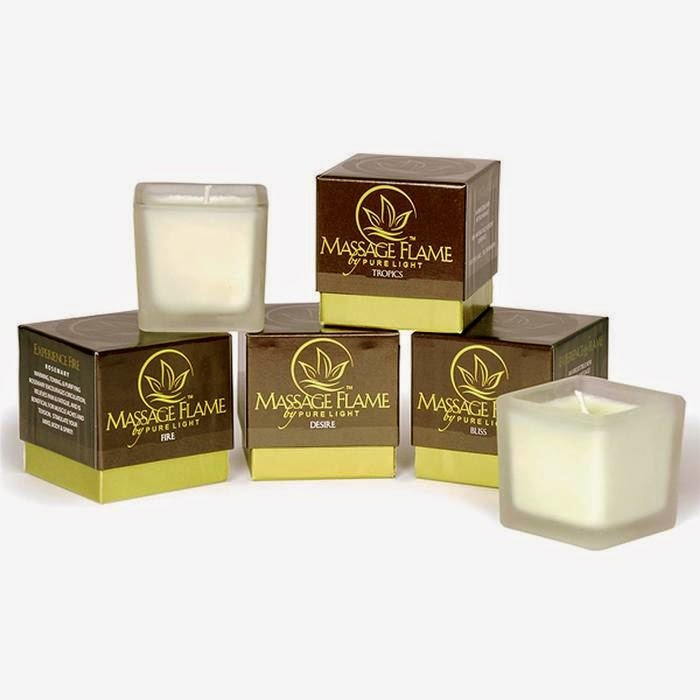 Massage Flame Candles - The World's Finest All Natural Body Massage Candles! Bring in More Profit by Adding Just a Touch of Fall to Your Menu! 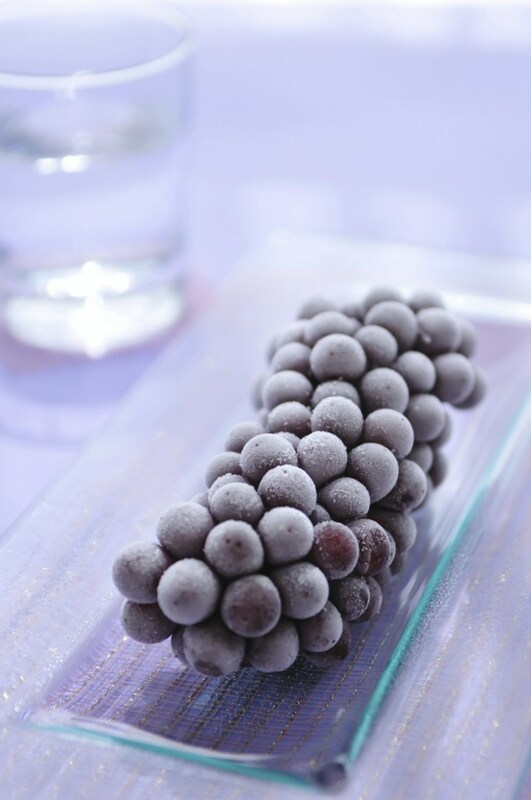 Adding a fall touch to your spa and salon menu will be very beneficial to you. However, I'm sure you are always thinking of new ways to stand out from the norm or maybe you're looking for a special something you can add that's all natural. 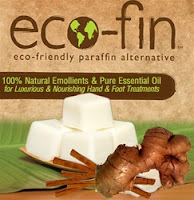 Either way, Eco-Fin Paraffin Alternative has a Cinnamon-Ginger Blend that is perfect for just that! Eco-Fin Paraffin Alternative is a great hand and foot treatment that is made with 100% natural plant-based emollients and pure essential oils. The ingredients include some great stuff like jojoba oil, shea butter, and vitamin E and does not contain any petroleum, artificial dyes, or synthetic fragrances! The Eco-Fin system is a great add on to your menu, however this Cinnamon and Ginger scent is perfect for this time of year to offer up as a special! Each tray contains 40 cubes, which is enough for 20 sets of and/or foot treatments. At only $1.60 cost per treatment, it's a win-win! You'll add an awesome fall treatment to your menu all while bringing in more profits! While the Eco-Fin Paraffin Alternative - Muse: Cinnamon-Ginger Blend is a great treatment for fall, all the other Eco-Fin scents are amazing and there is something for any time of the year! There's magic happening in my warehouse today! There's magic happening in my warehouse today! And it's not what you think. Of course I'm talking about Magic Globes! These cool little Pyrex glass balls have rubber handles for easy control while contouring the clients' skin. My department ships these globes to spas and resorts every single day! Our educator tells me that spas love them because estheticians use them to help eliminate redness after waxing, extraction, electrolysis and peels. Freezing them makes an awesome treatment for sinus, puffy eyes, headaches and migraines! Do you want magic in your salon or spa? Get em now! Why doesn't EVERY spa in America have these? I don't know... I'm just a shipping guy! See our great Magic Globe selection HERE!